Sample of funded projects performed by Altostratus Inc., listed by client or funding agency. For technical information or additional details, see the Publications and Research pages or send us a query (see Contacts page). Advanced atmospheric modeling for the development of a regional heat mitigation plan for the 6-counties Capital area (Greater Sacramento Valley). Various current- and future-climate scenarios of transportation- and non-transportation heat-mitigation measures are modeled and evaluated in terms of impacts on urban weather, thermal environment, infrastructure, and intra-urban climate variability in the area. The modeling is based on a specifically-tailored, modified version of WRF-urban and area-specific high-resolution bottom-up characterization of land use and urban morphology. The project also uses observational meteorology from fine-resolution mesonet networks in the region. Intra-urban enhancements to long-term probabilistic and short-term deterministic weather forecasts for the electric system in California. The goal is to reduce uncertainty in local climate forecasts by improving the representation of urban canopy- and boundary-layer processes in the WRF meteorological model and developing transfer functions for use in load forecasting. Accounting for intra-urban variations in climate, via ensemble modeling, can provide utilities and system operators with information for more accurately allocating resources and distributed generation. The intra-urban climate variations are characterized for current conditions (current climate) as well as decadal time intervals into the future through 2100. For future years, the study not only accounts for potential changes in climate (via dynamical downscaling of global climate models) but also changes in land use and land cover. The study examines coastal and inland/valley areas in California. Real-world monitoring and modeling of the urban heat island (UHI) in California. Focusing on the Los Angeles urban-climate archipelago, fine-resolution micro-meteorological modeling (with mod-uWRF) is performed to assist in siting new weather monitors for multi-year characterization of the UHI and to design routes from mobile measurements. Mobile transect observations are carried out to fill in the information gap among the new fixed monitors and the mesonet stations already in the region. Observational UHI data are used to fine-tune model parameterizations and incorporate observations into simulating the Los Angeles UHI for improved site specificity. The methods developed in this project can be applied elsewhere to observe the UHI and characterize its spatio-temporal patterns. Development of a first-of-its-kind Urban Heat Island Index (UHII) for the State of California. 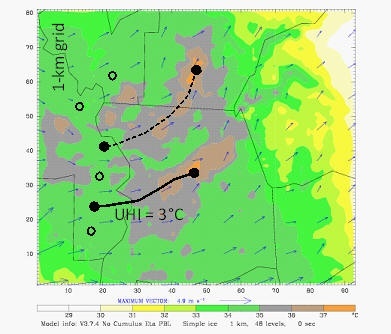 The UHII is computed based on fine-scale meteorological modeling with recent versions of the WRF-ARW model that have been modified to incorporate parameterizations updated by Altostratus Inc. At each census tract, the UHII calculations not only account for the localized heat island effect (UHI), but also heat that is transported from upstream sources. Time-dependent and space-varying upwind UHI reference points are used in computing the UHII. The UHII characterizes existing microclimate conditions and is intended as additional information for possible use with the CalEnviroScreen tool. Part 1: Multi-year, multi-seasonal modeling of potential meteorological and air-quality impacts of urban heat island control in California. Mesoscale and meso-urban (fine-resolution) meteorological, emissions, and photochemical modeling (MM5, uMM5, CAMx) is done to evaluate impacts on ground-level ozone, both positive and negative. 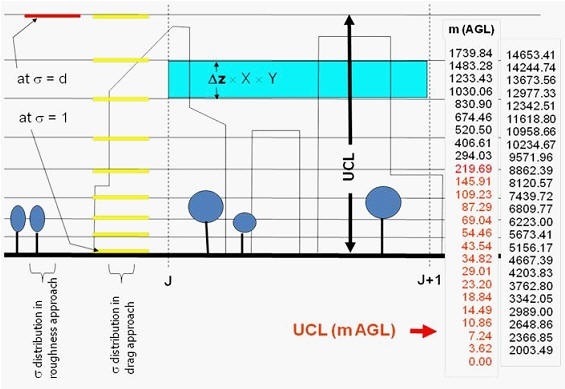 Extensive photochemical modeling is also done, with step-wise NOx and VOC control, to develop anthropogenic emission-equivalents to changes in ozone concentrations. Part 2: Fine-resolution micro-meteorological modeling for quantification of the atmospheric impacts of large-scale deployment of solar arrays (photovoltaic and solar thermal systems) in urban areas. Meteorological, emissions, and photochemical modeling for the development of a SIP control strategy (urban forest measure) for the Sacramento Federal Non-Attainment Area (SFNA). Control measure for ozone is evaluated with innovative multi-scale modeling (integrated mesoscale and meso-urban, fine-resolution models), more accurate surface characterizations and representations, and state-of-science emissions calculations. The project evaluates the atmospheric effects of changes in canopy structure/cover, species makeup and varying BVOC emission rates, as well as future impacts of business-as-usual scenarios and controlled changes in canopy cover. Meteorological and micro-meteorological modeling and analysis of the atmospheric impacts of community-scale environmental and energy technologies. 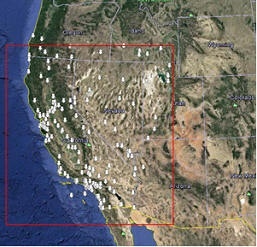 Based on modeling and data generated in this project, a tool can be developed to prioritize and rank various environmental technologies based on their indirect atmospheric effects alone and in combinations (feedback among effects of various technologies) and, thus, to maximize the energy/environmental benefits from their deployment in California. The project models California's 16 building-energy climate zones as well as an additional 180 micro-climate sub-zones (urban areas) defined in the project. Meteorological modeling of heat-wave events in the U.S. and analysis of heat-wave impacts (heat index) in several regions (e.g., Chicago IL, Houston-Galveston TX, New York NY, Baltimore MD, Los Angeles CA). Based on comprehensive modeling, the potentials for mitigation at the local scale with urban cooling are also evaluated. Project "FUSE", Bio-complexity in the Environment Initiative; Develop a modeling framework to evaluate and quantify interactions and feedbacks among meteorology, air pollution, energy consumption, and human response. The study involves 1) detailed emissions and photochemical modeling and linkages to meteorological and health models and 2) the development of a modeling framework for representation of chemistry-to-meteorology feedback (via radiative transfer modeling). The framework is applied to two regions in the U.S.; Portland OR (CMAQ-MM5) and Houston TX (CAMx-MM5). Convective enhancement and precipitation: Evaluation of the skills of different meso-urban model formulations (in UCP MM5 and uMM5 models) in reproducing precipitation events in Texas. Modeling is carried out with updated boundary layer / urban canopy layer parameterizations; Fine-resolution modeling and evaluation of the impacts of urbanization on precipitation in the Houston-Galveston-Brazoria region. Modeling of urban climates, urban heat islands, and impacts on ozone and particulate-matter air quality; Evaluation of the potential impacts of urban heat island mitigation strategies on air quality in India. 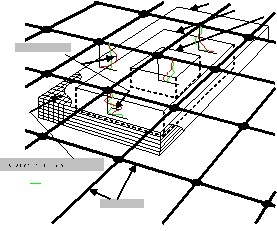 Model development / new-generation fine-resolution "urbanized" mesoscale meteorological modeling; Development and use of fine-resolution 3-dimensional urban morphological parameters; Application of the urbanized MM5 (uMM5) model in fine-resolution (1-km) emissions and photochemical (CAMx) modeling of the potential impacts of surface modifications on ozone air quality in California. Update and application of the urbanized MM5 (uMM5) in meteorological and dispersion modeling of the New York / U.S. Northeast region in support of San Jose State University's participation in the Department of Homeland Security's New York City Urban Dispersion Program (UDP). Dynamical downscaling of global climate / general circulation model (AOGCM) output; Mesoscale (regional) meteorological and photochemical/air-quality modeling of California under future-year climate scenarios; Modeling and analysis of impacts of several IPCC TAR climate-change and emission scenarios (SRES) on urban ozone and air quality in California. Development, testing, and application of new meteorological-model parameterizations of the urban canopy layer for site-specific modeling. Application of a UCP version of the PSU/NCAR MM5 in modeling the Texas-2000 SIP episode with focus on the Houston-Galveston region for mitigation studies including emissions control and urban cooling. Modeling the regional impacts of large-scale urban surface modifications on meteorology, emissions, and ozone air quality. 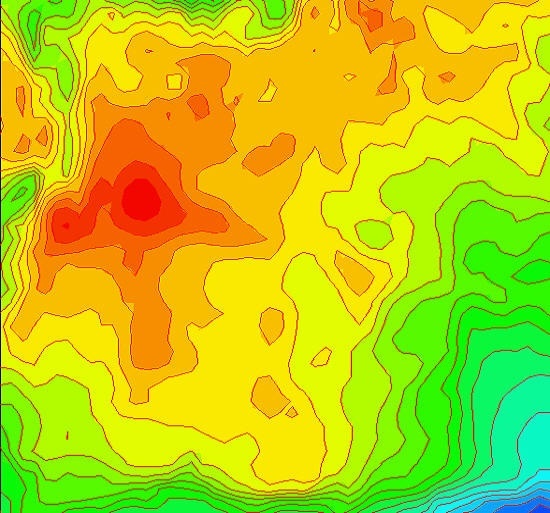 Meteorological and photochemical model updates and application to western U.S. and California in particular, focusing on the Sacramento Valley, San Francisco Bay Area, north and south San Joaquin Valley, the Los Angeles Basin, and the San Diego area.